At the core of Healing lies the understanding that when one is living according to and filled full of their true essential nature, there is no room for dis-ease. As a Healing Practitioner I work with Source Energy and through this your Energy Anatomy to reach beyond core issues of dis-ease: going beyond symptomatic treatment to affect lasting change, helping one to re-connect with spirit “the vital principle held to give life”, that spark which feeds the fire of our vitality, health, joy and inner peace. Rebalance your inner ecology, body, mind & spirit. This healing path requires a co-creation between yourself and your practitioner. You are the one who knows you best, I can help guide you through the blind spots, we all have them! Reiki is Universal Life Energy. Reiki, (pronounced “ray key”), is actually two Japanese words: “Rei” means universal life and “ki” means energy. When activated, Reiki addresses body, mind and spirit by accelerating one’s ability to heal one’s self. The body is reminded of its ability to heal physical ailments, the mind opened to the causes of disease, and the spirit to the opportunity of taking responsibility for one’s life and the joys of balanced wellness. Reiki I is the hands-on method, which is experienced as a powerful yet unobtrusive flow of healing energy. The client usually experiences the warmth (sometimes coolness) of the energy emanating from the practitioner’s hands, in varying degrees. Most people experience a sense of calmness and a decrease in their stress level as a result of a Reiki session. Receiving Reiki is undoubtedly the best way to understand this natural flow of healing energy. Reiki II is the second method and is also known as Distance Healing. Reiki II practitioners may provide a Healing from a distance with the permission from the client. Reiki practitioners are not using “their” energy, per se, but are via Reiki tapping into the unlimited universal supply and therefore cannot become depleted or run down. Reiki energy is spiritual in nature, and therefore cannot be directed or manipulated in any way. Reiki by-passes the symptom and goes to the cause of the problem to allow healing to take place. Reiki works on the assumption that each of us knows more about what is necessary for our healing than anybody else. It works with that innate ‘knowing’ part of ourselves that has created, caused or participated in the problem and therefore knows the antidote. Thus, Reiki is complementary to any other form of healing. Soul loss can be comparable to the psychological concept of disassociation. Some of the symptoms that may indicate soul loss include: depression, a feeling of incompleteness, an inability to move forward on some issue, lost memories, feeling like your not in control of your life. Soul loss is often accompanied by a feeling that something is missing from life. In Traditional Cultures when a person is suffering from dis-ease it is believed that the soul is what requires mending. The causes of Soul Loss can vary from person to person ie. can be anything from being made fun of as a child , accidents involving the physical body to any and all forms of abuse. When the lost soul part is reclaimed what is returned is the vitality and true essential nature of the client, not the trauma. The chakras are the major ‘organs’ of the energy body which transmit information from our surroundings and experiences into our physical body via the neuroendocrine system. The seven major chakras each correspond with a particular endocrine gland, where the information is dispersed throughout the body. As we progress through our lives, particular experiences tend to either over activate or suppress the function of certain chakras. This greatly affects not only our capacity to process our experiences clearly, but contributes to the stagnation of our spiritual growth and the perpetuation of mental and emotional patterns not in alignment with our deepest Truth. Clearing the chakras helps us to move through ‘stuck’ spots in our lives so we may progress on our path. It typically involves letting go of things that no longer serve us to create a space for that which does to enter. Gratefully we are beginning to remember what Traditional cultures and “young children” have known all along, that Plants are endowed with intelligence and spirit. We can make friends with the spirits of plants and call on them to help with making decisions, healing and practical aspects of daily life. We can take the time to build relationships with the spirits of plants, they are guiding us in healing, body, mind and spirit. I have taken the time and continue to take the time to make relationship with Nature and the spirits of plants. The Plants help us to navigate beyond the “noise” of modern life and come home to ourselves, to our families, to our communities, to Nature, to our sanity. These sessions most often happen on my massage table and at your request these sessions can be held in the great outdoors. I will happily guide you in making friends with plant spirits, in your yard, in one of your favourite spots in nature, in one of my favourite spots. In the blooming season we can make essences, tinctures, oils & salves, harvesting in a sustainable and respectful way. We can discuss the edible and medicinal qualities they share with us. Check my site for Edible & Medicinal Plant Walks in the area as well as Plant Communication classes. I offer a sliding scale rate so that money or a lack of it never gets in the way of our connecting. Some people find a sliding scale confusing, in that case I suggest $60/hr. I’m flexible. Please be in touch. 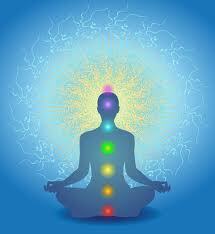 Iam interested in soul reclamation and then chakra balance.